With some 836 dialects spoken, around 12 percent of all the world’s languages can be found in Papua New Guinea. 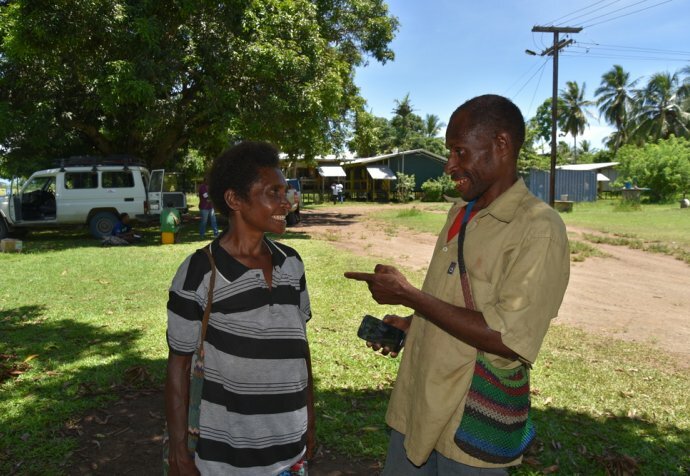 In Papua New Guinea, MSF focuses on expanding access to care and improving adherence to treatment for patients with tuberculosis (TB), and providing assistance for victims of sexual and gender-based violence. Tuberculosis is a major public health emergency, with thousands of new cases emerging every year. It is the fourth biggest cause of death in hospital admissions, and the principal cause of mortality among HIV/AIDS patients. The adherence to treatment among patients in PNG is low. This is due to difficulty in accessing remote areas and a lack of an effective follow-up system. Family and sexual violence are clearly widespread and destructive in Papua New Guinea. Patients face multiple obstacles for obtaining essential medical and psychological care, and they face severely limited options for accessing the legal, social and protection assistance they require. A culture of impunity, and a continuing reliance on traditional forms of justice to solve serious family and sexual violence cases. Survivors become ‘double victims’ – suffering first from brutal attacks, and then from failures in service provision and in the protection system. There is simply not enough comprehensive medical and psychosocial care for survivors of family and sexual violence. There is also no effective referral pathway to connect them to assistance beyond immediate medical care, particularly in rural areas without hospitals, safe houses or an effective police presence. The Return to Abuser report was launched in 2016, exposing the gaps in services and systems across Papua New Guinea that keep women and girls trapped in cycles of severe domestic violence and sexual abuse. MSF projects aimed to provide free, confidential and integrated care for victims and survivors, to meet their medical and psychological needs, and to facilitate access to vital services. MSF completed the handover of sexual and domestic violence treatment projects to PNG’s provincial health authorities in 2016.